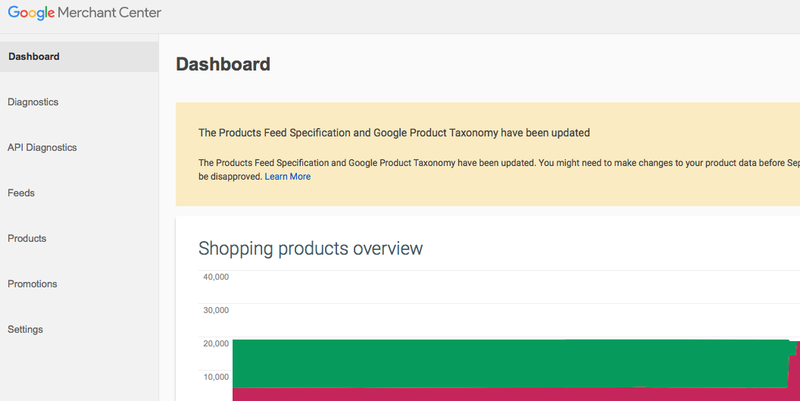 If you’ve seen Automatic item disapprovals due to a Google Shopping policy violation error in your Google Merchant Center, the natural thing to do is to check the corresponding help page. Unfortunately, you’ll quickly realize that this page is completely useless in actually figuring out what caused the error, let alone how to fix it. Unlike other common Google Shopping errors, this one is not so simple to fix. The bottom line is that Google’s algorithms have detected your product might violate one of their numerous Policies on Google Shopping, but won’t tell you which one has been violated, usually because they themselves don’t know. We know this because of multiple calls with Google Agency Account reps, and Google client reps, where there is no real known cause beyond “automated disapproval”. We’ve had numerous clients usually in the pharmacy and cosmetics space face these kind of errors on Google Shopping, and we’re the only platform that has experience getting rid of these disapprovals. In addition to removing a list of over 4 thousand keywords that Google Shopping doesn’t allow, we leverage our powerful Feedonomics platform to help get those automatic disapprovals reapproved, and live on Google Shopping. While we can’t promise to get all these errors resolved, with previous clients, we’ve been able to get 20-60% of these products reapproved.